The Camping Riviera Village has access to a private beach located in Numana center. Our holiday village has, in fact, an agreement with the beach bathing facility Eugenio. The beach is most loved by children and parents. It is an oasis of relaxation and fun, which offers unforgettable emotions to all our guests. Our little guests can have fun at the fun playground and adults can enjoy all of their hours. 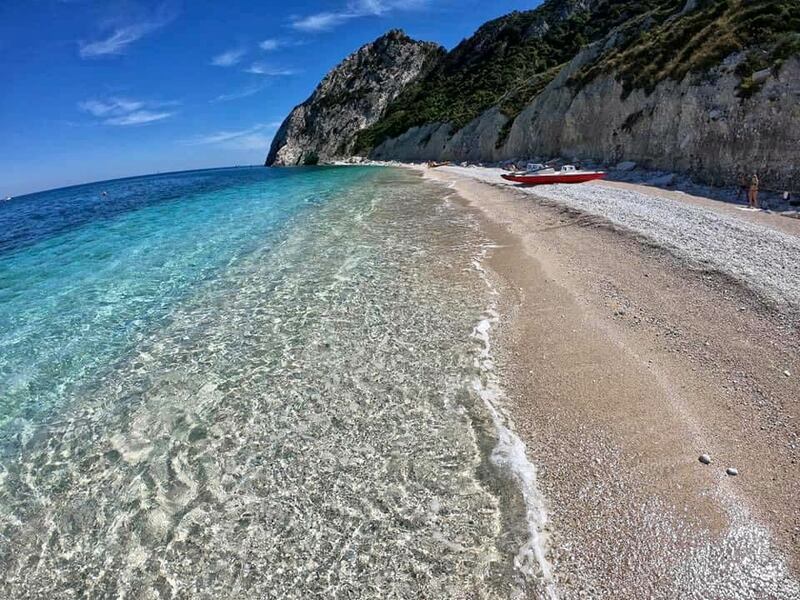 The crystal clear sea will offer you wonderful and refreshing baths. 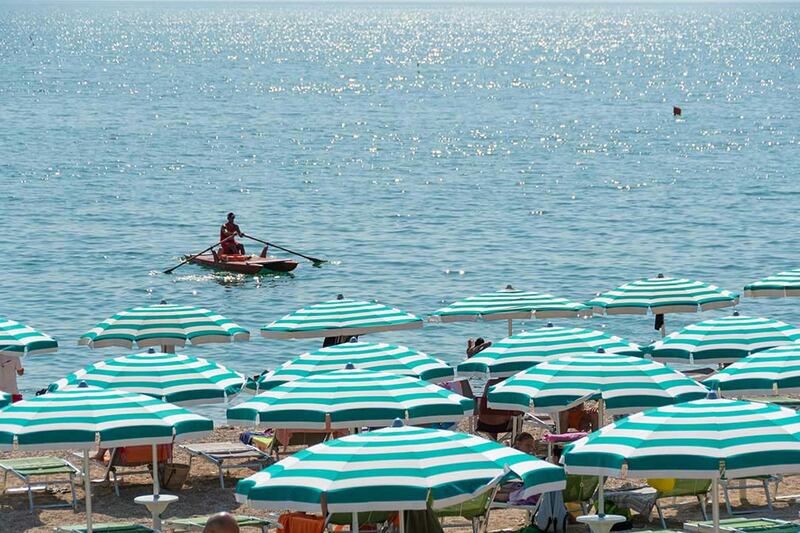 For those staying in the village, in bungalows and mobile homes, access to the beach on the Conero Riviera also includes the assignment of an umbrella and two beach chairs. For those who love to experience the beach in an active way, the establishment is equipped with beach volleyball court where you can organize matches between friends or family. It is also possible to participate in diving and sup courses. Every morning, on the beach, you can have an hour of gentle exercise: your daily muscle toning. The beach is reachable in only a few minutes long pleasant walk or comfortably with our free shuttle service functional throughout the day.